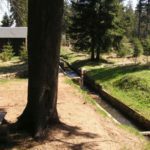 Horní Blatná – was founded on the location of rich tin ore deposits as a mining town in 1532. The greatest boom took place in the 16th century. The town was established on a regular Renaissance pattern. Today it is declared a municipal landmark zone. From the town square dominated by a late Gothic building of the St. Vavřinec (St. Laurence) Church, a nature path leads to Blatenský Hill, on which there is an outlook tower. Nearby its top there are mine lakes (sags) of former medieval mines, a protected nature landmark the Wolf holes (pits). You can learn about the history of medieval mining in the museum of tin mining on the nature trail. 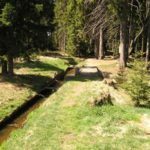 At the foot of Blatenský Hill there is the Blatenský Ditch, a water distribution system from the first half of the 16th century. 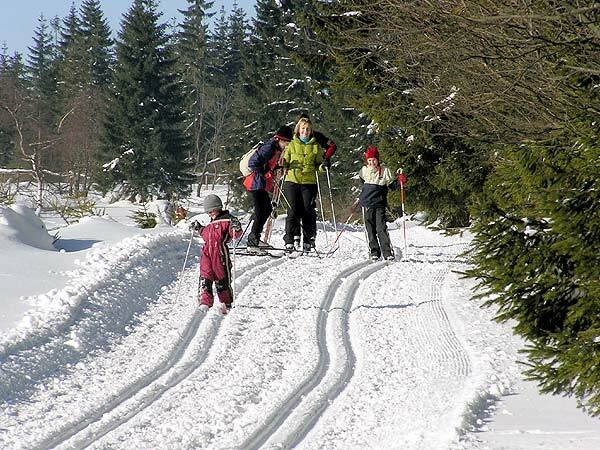 Horní Blatná is connected with a network of hiking, cycling and cross country trails. You can find accommodation possibilities in hotels and boarding houses there. 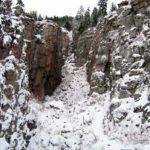 The ambient offers many options for hiking and winter sports. 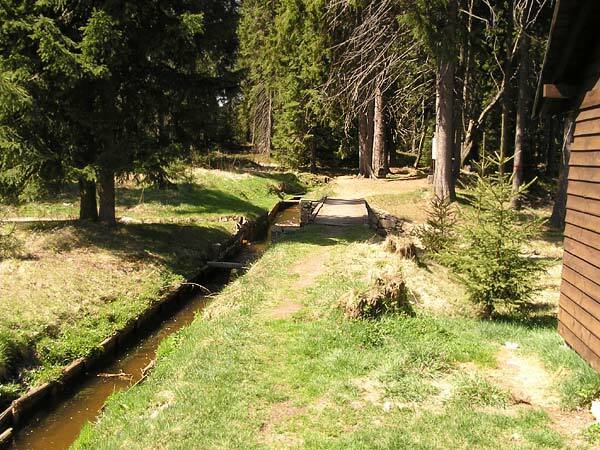 In summer you can go and pick mushrooms, use a playground and a small water reservoir. 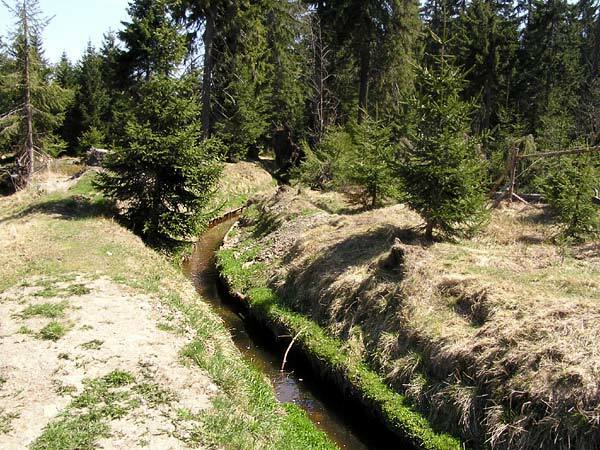 The Blatenský Ditch – 0.5 – 12 km, a water construction system realized in the period 1540-1544, which feeds water from the Černá river to Boží Dar and Horní Blatná. Stephan Lenk was the work builder. Technically speaking, it is a very interesting construction which is 11.5 km long and of minimum grade. Sometimes water seems to be flowing uphill. 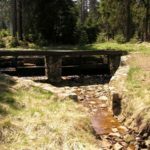 The original purpose was to supply water for mines and processing plants in Horní Blatná. 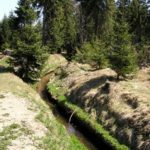 In 1994-2001 the ditch was reconstructed and a nature learning path connecting Horní Blatná and Boží Dar was designed along it. 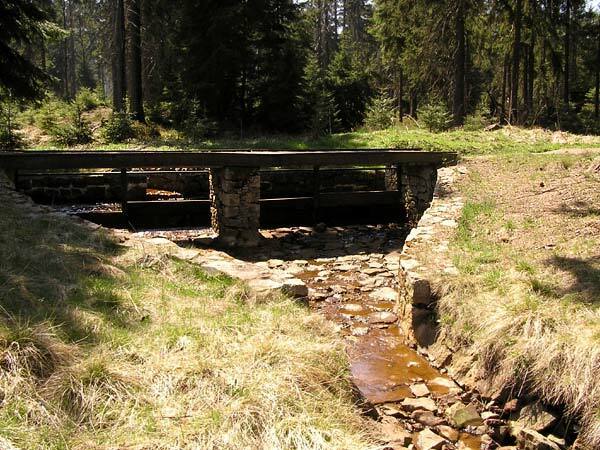 Pernink – 4 km, was founded in the valley of the Bílá Bystřice river for color ores mining in 1532. As the legend says the first clod of silver was dug out by a bear which is in the municipal coat-of-arms. After the mining was terminated, the textile, lace working and glove making industries appeared here. A stone viaduct located above the railway station in the town is an interesting feature. The railway station is situated in the altitude of 902 m above sea level and is the second highest located railway station in Bohemia. 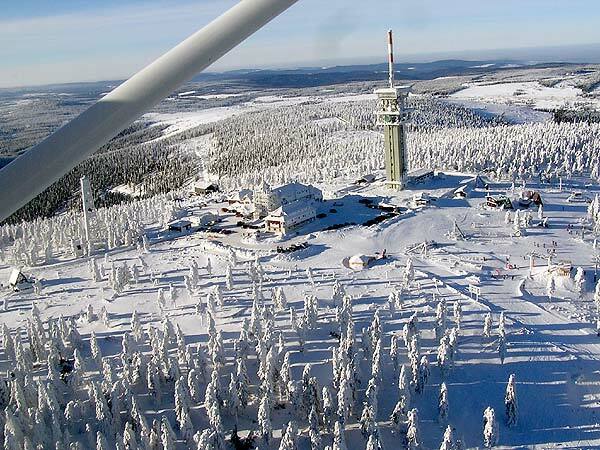 At present, Pernink is a dynamically developing winter sports center with skiing slopes and a connection to cross country trails. 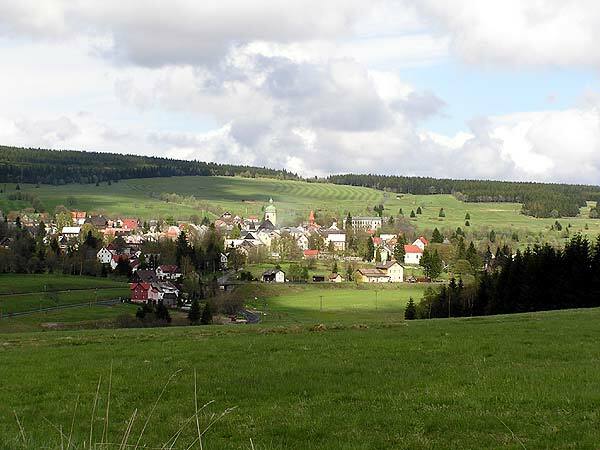 Potůčky – 6 km, the municipality was founded along the Černý and the Hraniční creeks in 1654, along the national frontier with Germany. Tin, silver and iron were mined there. Cobalt colors for glass and ceramics were produced there. After 1989, a border crossing to the German town of Johangeorgenstadt was opened there. Consequently, a significant market place, many shops and restaurants were opened, too. Johangeorgenstadt – 7 km, was founded on the Bohemian-Saxon border in 1654. The first citizens were Protestant exiles from Horní Blatná, who immigrated here during the re-catholicization period. The town boom is closely connected with mining. Forester Georg Baumgarten, inventor of the first stearable airship, was a significant local personality. Since the 20th century travel and tourism have been developing here. Boží Dar – 15 km, founded in 1546, a story goes the round that local miners offered a chair made from silver to Prince Elector Friedrich but he declined it saying “this is your God´s Gift” (Boží Dar). It is the highest located town in Bohemia 1,028 m above sea level. 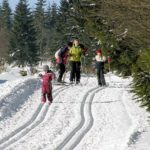 Recently, Boží Dar has been the best known winter sports resort in the Ore Mountains. 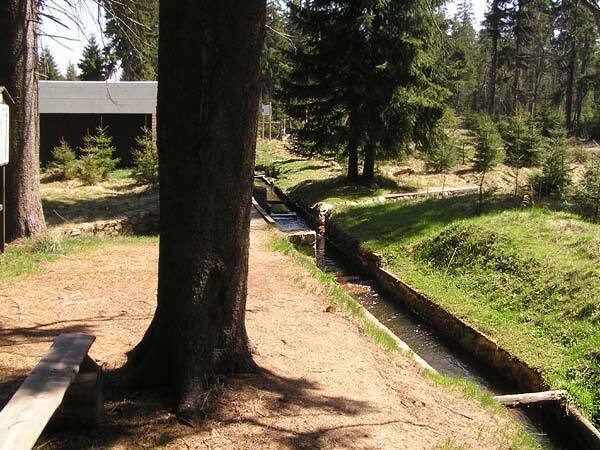 Jáchymov – 15 km, founded in the surrounding of rich silver mines of the Counts Šlik in 1516. It is a town of booms and recessions. In 1533 during the silver fever, it was the second most populated town after Prague with its 18,000 inhabitants. In 1519 the Jáchymov tolar (thaler) was stamped here. Georgius Agricola, doctor and mining expert, made the town famous, too. After Marie Curie – Sklodowska´s discoveries, the first radioactive spa in the world was established here. Until now diseases of locomotive apparatus have been treated here. Unfortunately, uranium and radium brought great misery and suffering to Jáchymov in the years after WWII. There were working camps set up, especially for prisoners of the State. 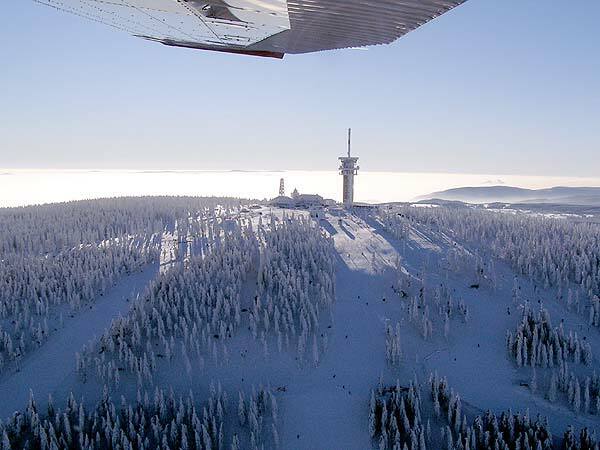 Klínovec – 15 km, the highest peak of the Ore Mountains 1,244 m above sea level. 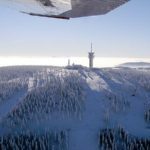 On the top there is the oldest stony outlook tower in Bohemia and a TV transmitter tower. On the northern slope there is a ski arena. 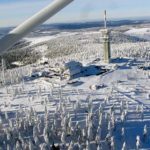 Oberwiesenthal – 15 km, founded as a mining municipality in 1406. 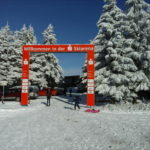 Since 1900 it has been the biggest winter sports center in Saxony. In 1924 the first cable car lift was built to Fichtelberg. 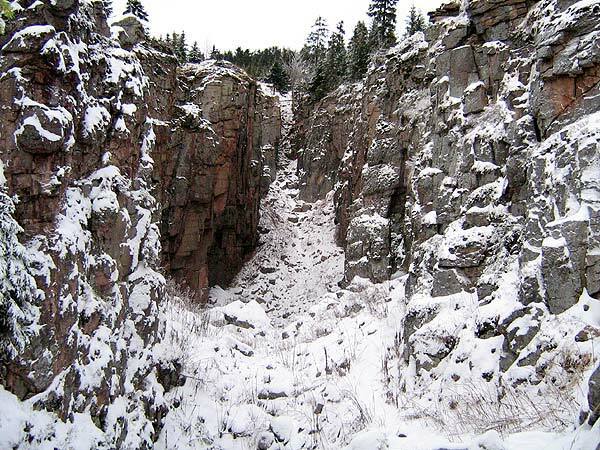 Many ski lifts, ski jumps, hotels, a toboggan run and a bobsleigh run were constructed here subsequently. Karlovy Vary – 28 km, a regional town founded by Emperor Charles IV around 1350 is the most renowned spa town in the Czech Republic. It has four colonnades and 12 mineral springs. Diseases and disorders of the liver and the digestive system are treated here. It is famed for the production of the Becher liquor.